Every other week, employees of the Volpe National Transportation Systems Center trek to the Kennedy/Longfellow (K/Lo) School to read aloud to every 2nd and 3rd grader at the school. This year, the program has reached a significant milestone – it is celebrating its 15th year! 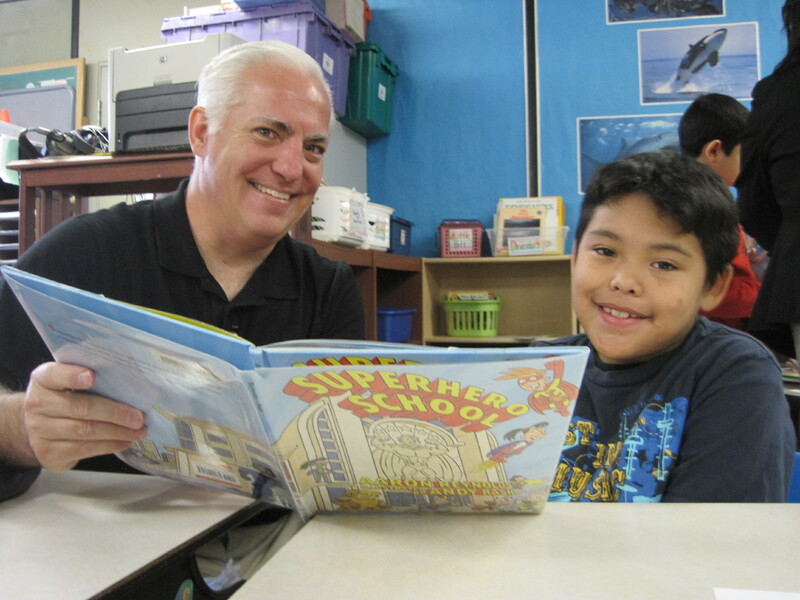 Since 1997, 414 Volpe employees, known as Lunch Buddies or Reading Buddies, have given up their lunch hour to read aloud with hundreds of young elementary students. Volpe’s commitment to the students is noteworthy. Four of the current Volpe Buddies have been with the program since its inception. And this year, both the Director and Deputy Associate Administrator of Volpe are Lunch Buddies. An amazing bond forms between student and adult mentor around books. It starts with the excitement each early grader feels when the adults walk into the classroom. It continues during the 30-minute reading time with the buzz of happy voices that permeate the room, and it shows when each student proudly adds another completed book to his or her reading list. And it’s also displayed in the fond farewells when the Lunch Buddies have to return to work. At the end of the school year, the students get to visit the Volpe Center and learn about strides in improving transportation safety. A highlight of the visit last spring was the train crash video, which showed the importance of engineering design to protect passengers. According to the U.S. Department of Education, guided reading by adults to children has long been recognized as the single most important activity for building the knowledge required for success in reading. 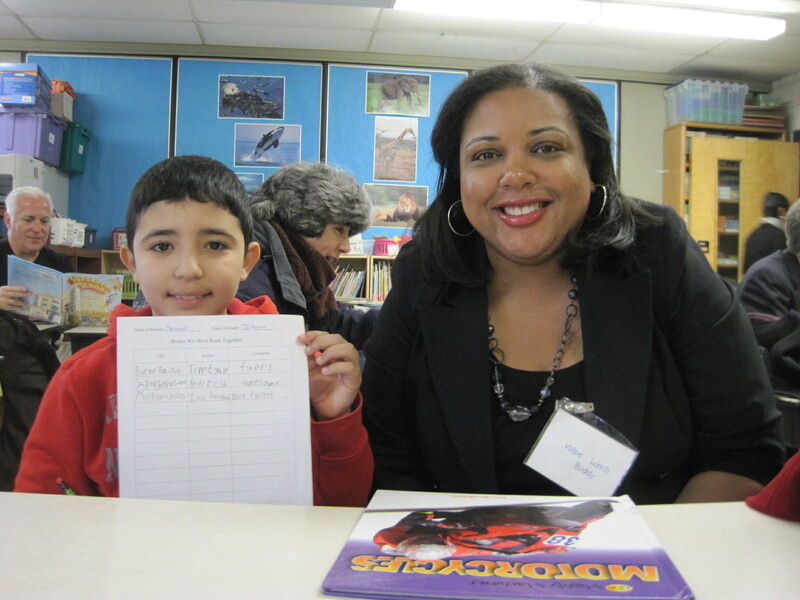 Capitalizing on that model, CSV worked with the Volpe Center and the school to launch its Reading Buddies program 15 years ago to support Cambridge’s strong commitment to early literacy. The K/Lo program has partnered with the Volpe Center for all 15 years. The current Volpe coordinator for Lunch Buddies, Maria McCarthy, has been a true cheerleader for the program. A Cambridge native and graduate of the original R.F. Kennedy Elementary School, Maria feels that the adult Buddies get more out of the experience than they put in. As Maria says, “adults come away from the sessions with the satisfaction of knowing that they are helping a child with his or her reading skills, but they are also forming a relationship that goes beyond the reading, that is, into a friendship”. 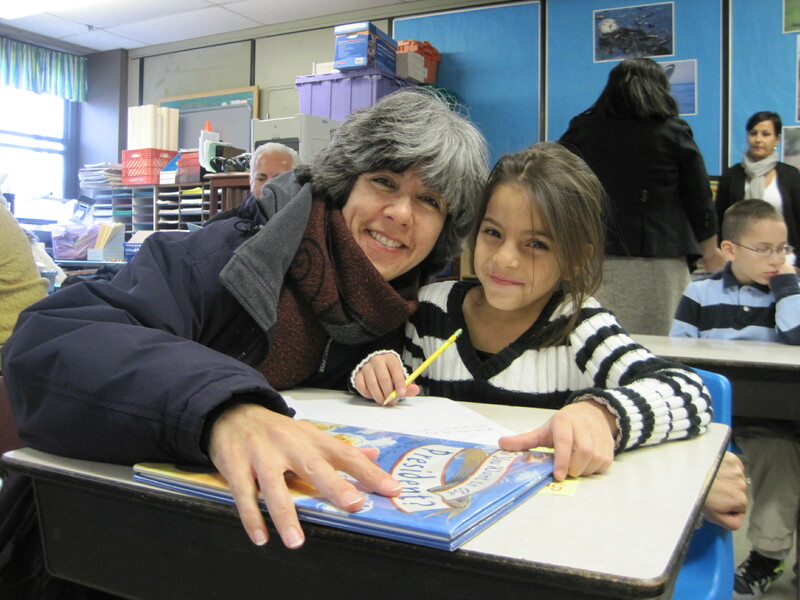 CSV salutes its very first Reading Buddies partner and the hundreds of Volpe “Lunch Buddies” who have passed through the program and given so generously of their time and energy reading to young elementary students.